I had to get a Christmas stocking holder stand when we lived in our apartment. Without a fireplace and mantle, I found it difficult to find a good place to hang our stockings every December. Now, even in our house (we’re no longer in the apartment), the stand is perfect because it not only holds several stockings, but I can move it around. It’s portable! Plus, it saves me from marring up the mantel with nail holes. I can bring the Christmas cheer into a corner of the kitchen, right by the door that leads out to the back deck. 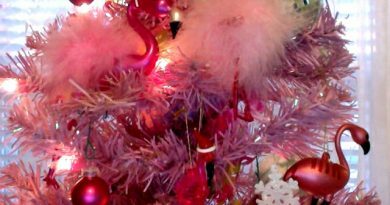 It adds a nice splash of decorative holiday colors and design to that part of the room. 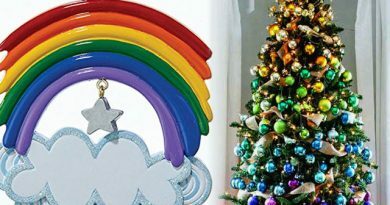 I also use to hang various tree decorations too! I’ve had a stocking holder stand for a number of years now and will probably pick up another one to use in the family room for the dogs’ stockings and more tree decorations. I love how decorative the stand itself is and the fact that depending on which style you get it can go almost anywhere. I sometimes even use it for holding mittens and gloves! 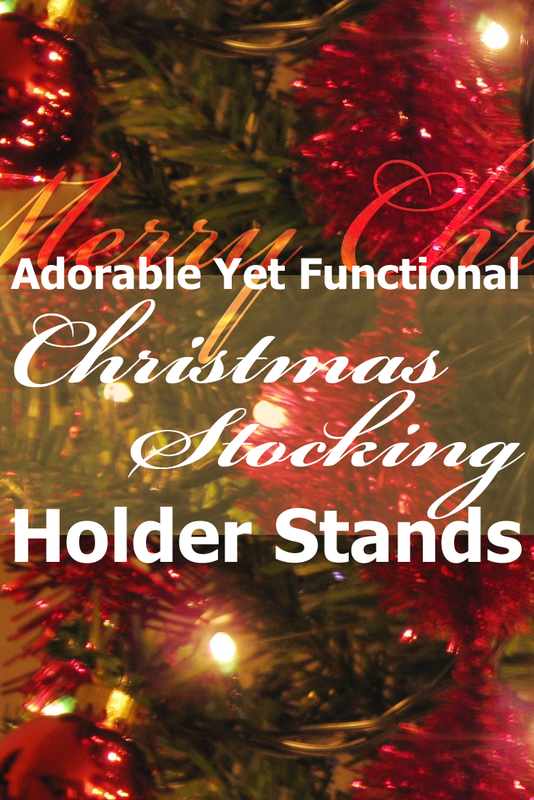 Christmas stocking holder stands will look charming by your fireplace or next to your tree. They’re versatile too since you can use them for ornaments, pets’ stockings, treat bags, and more. A good friend of mine even puts one in her bathroom every Christmas. She tucks it in a corner and makes a display of red and green Christmas hand towels with it. The black metal finished one has a nice design. I especially love the little heart that sits in the middle at the top. It looks very cute and it’s pretty easy to put together. It has the two arms so the only thing to keep in mind is to keep the weight balanced. 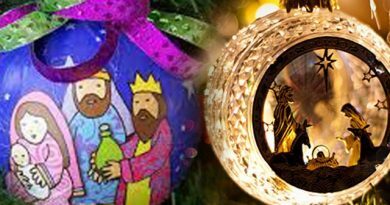 If you have a heavier stocking on one of the arms, it may tip. This usually isn’t a problem though since our stockings tend to be equally stuffed with goodies from Santa!